Sherer Chiropractic | Is it Wrong to be Strong? Is it Wrong to be Strong? When someone asks me for advice on being physically fit for an athletic event, the number one thing I hear is, “I need to be stronger.” My answer to this is always, “Why?” I often get a very puzzled look after saying this. In the martial arts world it is said that if two people are of the same skill set, the stronger one wins. If you are as skilled as your opponent, then you need to be stronger. The question becomes, “What kind of strength do you really need?” Do you need the brute strength of a deadlift, bench press, or squat? Or is it much more important for you to have explosive energy such as that gained from an Olympic lift, kettlebell swing, or a plyometric type exercise? The answer is that it depends. When we look at it from an MMA standpoint, you had better have both. If you can hit someone hundreds of times throughout the fight, but not enough power to be an effective striker, you will want to work on your power. Conversely, if you can hit like a Mack truck, but you are slower than molasses, then explosive power should be at the top of your list.. The answer is periodizaiton. I overheard Sensei George Stannich, head judo instructor at The Hit Squad tell a student, “There is a saying in Russia. If you chase after two rabbits at the same time, you will be very hungry.” Periodization refers to the systematic planning of athletic training. It is very difficult to train explosive power and strength at the same time. There is some overlap, but it is truly best to focus on one and maintain the other as much as possible. The problem is that most MMA camps and other athletes try to do both at the same time. This is nearly impossible. The best coaches and trainers in the world are often times not the best at picking the correct exercise or drill, but rather eliminating the ones that do not reward their athletes with any results. There are many factors that affect an athlete’s ability to develop power and speed at the same time. Genetics and the ability of the human body to repair are quite possibly the most important of these factors. We cannot change genetics. You are who you are. The greatest coach cannot change the best long distance runner into the best sprinter. In fact, if he or she tried to do this, he or she would not be the best coach. It does not work that way. Sometimes you do have to, “Dance with the girl that brought you.” There is a lot of research that is being done on muscle fiber typing to determine whether an athlete is a strength or power athlete. I think that this research can be of great importance if used in the right way. Unfortunately, the information gathered from these types of studies will probably be used to try and create super-athletes out of a bunch of nine year olds. However, from an athlete development standpoint, it gives us the ability to eliminate inefficient training methods. Think back to the last Rocky movie, the trainer said, “To beat this guy, you need speed – you don’t have it. So, what we’ll be calling on is good ol’ fashion blunt force trauma. Horsepower.” I am not telling you to stop training speed and power. You have to have a certain level of it in most sports. However, if you are gifted with brute strength, it can be a great equalizer. You still have to train to increase your speed and power, but do not sacrifice your strength in order to get there. The same thing goes in the reverse, do not sacrifice your speed if it is your bread and butter. Just try to get a little stronger. 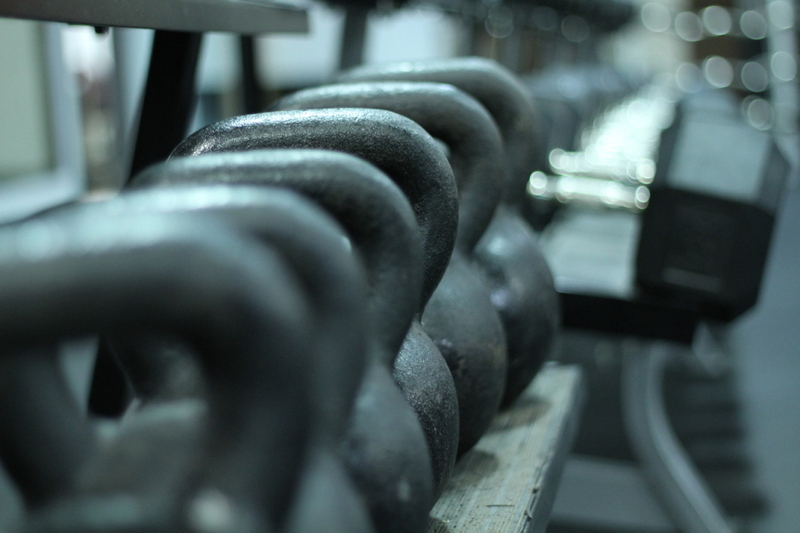 The biggest issue in the quest for optimal strength and power is overtraining. Even if your program is bulletproof, and your nutrition is spot on, you will never reach your potential if you do not recover well. There are now specialized training aids that will tell you how much gas is in your tank on a given day. However, when we look at most MMA athletes, they do strength training, cardiovascular training, boxing, wrestling, and some form of jiu jitsu sometimes in the same day. Many of them do not eat enough calories for fear of gaining weight. After a certain amount of time, which is different for each athlete(See the genetics section), they are often times just going through the motions. Many of them begin to plateau, some get worse. The most unfortunate part of this is that they are setting themselves up for injury. You have to listen to your body. Pain is not just weakness leaving the body. It is a signal that something is going wrong. Most choose to ignore the signal. No MMA fighter is ever 100%, but many are walking the razor’s edge towards injury. Often times, the athlete that wins is the healthiest one. There is no clear cut way to train an athlete. Coaches, who have completely disagreed with each other, have had success training world-class athletes. However, most of these coaches have the above ideas in common. Your genetic makeup cannot be changed, but you can use it advantageously. You must periodize your training, and you must allow your body to recuperate to not only avoid injury, but also to reach maximum athletic potential. Often times the problem with a training program is that it has no clear goals. Are you training for power or strength? It is a very easy question. Again, no athlete competes at 100%, but by following the above guidelines you can tailor-make an athlete’s training based on the strengths and weakness, as opposed to the cookie-cutter model. Train your weaknesses, compete with your strengths!